When you have kids, life becomes more precious. Their lives of course are precious, precious beyond belief; but also your own lives, as parents. You have a responsibility that must be upheld at all cost, I know that's how I felt, I'm sure that's how most parents feel. Before we had children, Mike and I shared the driving fairly equally. When I was pregnant I felt nauseous as a passenger, which combined with the fact that I wasn't drinking alcohol and Mike was, changed the balance. 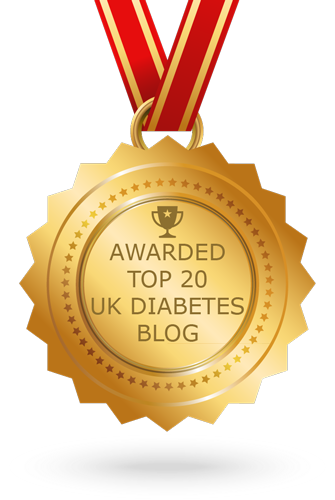 I have remained primary driver ever since, largely because of my own anxieties about Mike's diabetes. There have been times in the past when Mike has had to stop the car and test, and I've had to take over the driving because his blood sugar is low, or at risk of going low. With children in the car it's never a risk worth taking. Mike does drive, and drive the kids, and he tests regularly, runs his sugars slightly higher, takes all the necessary precautions, to know that he is totally in control. As I say, it's my own worries and anxieties that make that a rare occurrance. This post has been written because of a conversation Mike and I had yesterday, which followed an email conversation Mike had with Matt Jones, who has commented on the first blog on this site. It is not, I repeat, not, just me being a control freak. It is a genuine worry. Control, having said that, does come into it. There are times when Mike is not in control, it's not predictable as to when that will be, so I suppose I am always on alert, I do feel I always have to be in control. And there are those times when you are somewhere you know longer want to be, a visit that has come to an end shall we say. (Particularly relevant if you need to get toddlers out of sombody's house before they break something, or begin to play up out of boredom or exhaustion.) The last thing you want to do is find you need to stay an extra half an hour while the driver sorts his levels out. I like to be ready to take over just in case, so if wine is offered, I say no, which means that Mike might as well say yes. Lets call this a diabetic bonus. You have to make the most of them when they come along. I do apologise for going rather quiet for a while. My life is divided, when the kids are at home, I'm full time Mum. That, sadly, did not mean that the kids were willing to share their Easter Eggs with me. Back at school, for Beth, the youngest, the last term ever at primary school, and I now need to make the most of the next three months before I stop for the summer. Back to work, and time for a quick blog. I have noticed since I turned forty, that my picture of old age has changed. I always quite fancied myself as a roly poly Grandma with soft, downy cheeks. Now I see a tough old bird who can bite the tops off beer bottles and then spit them a good distance across a room. I think Mike prefered the first vision, but I suppose I feel the need to be strong and prepared, because ageing might not be the easy ride I'd once imagined. We are lucky. We are healthy (diabetes apart). 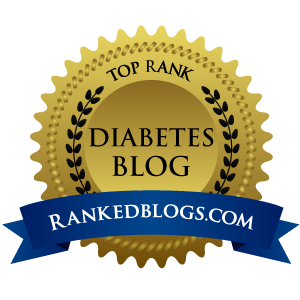 We are not genetically disposed to develop anything nasty (diabetes apart). We should be heading towards a fun retirement; but it is all a bit scary, and much like the time when we were first expecting Ellen, we need to know everything there is to know so that we are as prepared as we can be. There is a nagging thought at the back of my mind, which I've been ignoring for a while. It's not just Mike. I'm going to have to be fit too. It's actually not enough encouraging him to go to the gym, telling him how important it is to look after himself. I need to be strong too. Damn. I hate excercise. Hmmm. My NovoPen 4 is great. It's an absolutely star piece of kit. Solid, nice-looking and reliable. But about 5 years ago I had a brainwave. What I need, I thought to myself, is an injection pen that automatically stores the doses and timings of recent injections and displays them on a little LCD screen on the pen. That way when I'm varying the timing of doses (before/during/after meals) to match the activity curve of NovoRapid with the absorption of what I'm eating - and even more importantly when I'm splitting doses to phase the delivery over a longer time period (especially helpful for larger celebratory meals, or those higher in fat where absorption can often be significantly delayed) I won't forget what I'm up to. Recently as often as two or three times a month I've forgotten to inject at all (believing I'd done so already). Or even worse, double dosed. Not good. Having looked around I've since found the Eli-Lilly 'Memoir' pen and I'm seriously considering changing insulins just to be able to have this facility - that's how useful I believe it would be to me. So I've been on to NovoNordisk to ask them directly if they could get their R&D boffins on the case with a heartfelt plea. I was pleasantly surprised to get a very prompt and courteous email back... "Thank you for your message" they said... "very interesting and useful to get a users perspective...", "we'll send your request to our head office in Denmark..."
Just today I've discovered NovoPen 'Echo' due for launch later in 2010 in the US which has a little screen in the end. "Woo hoo!" you say? Well, er no. I'm afraid not. 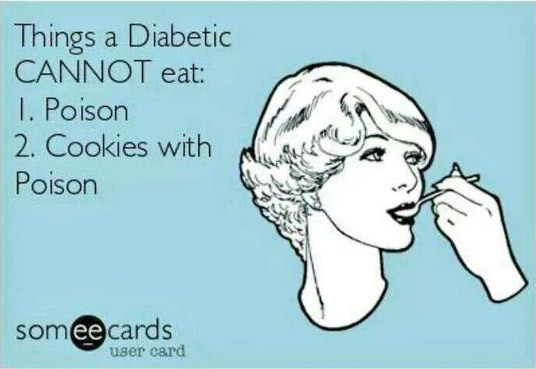 Sadly it's only being aimed at children with diabetes (ehhhhh?!) and I understand there is no plan to make the Echo available to adults in the UK market any time soon, if at all. Not sure if anything will come of my appeal to NovoNordisk's better nature, but I hope it does. I've much preferred NovoPens to any other delivery device I've used. I've booked an appointment to see a Consultant at the hospital. Well first I went to the most diabetes-savvy GP at my practice with a list of issues, concerns and proposed changes to insulins and/or pens who immediately said, "This is a bit out of my league really, you need to go and see a Consultant". If you are interested, here's a link to the grid I made up which allows space for date, premeal bgs, estimated carb and dose, 2 post meal levels (say 1.5 and 3 hours) and any notes about level of activity etc. You can print them back to back on A4 sheets then cut the sheets in half lengthways and fold/staple to make a little booklet. I tend to carry all my diabetes gubbins in a pencil case, and it's small enough to slip in with everything else. I've got another two or three weeks before I see the Consultant and boy do I need them. If this new push towards tighter control is showing me anything it's that there are too many variables. After the first few good days I've launched into a bizzare period where for every errant reading I have at least 6 different possible causes. I have a cold (this can sometimes push bg levels up). It didn't for the first week (when I felt worse), but now I'm coming out of it my levels are often higher than expected. Is that it? Over correction for a hypo? Not a good day for me today. I got so frustrated this morning I had two hot cross buns for breakfast (instead of the usual high fibre cereal/semi-skimmed). Something I'd been denying myself in an attempt to 'be good'. It's feeling like the harder I'm trying, the more chaotic and inexplicable my levels are. On the plus side I have got rid of a LOT of hypos since I've been writing everything down, but now I'm drifting high way too often and my current HBA1c (average levels over the past 2-3 months) would be terrible. At least a few low level hypos kept my averages down! * Dawn phenomenon is the body's natural 'fire up the burners' routine in the morning where glucose levels tend to rise as dawn approaches. It's more pronounced in some people than others. Strictly speaking I don't think it can be this since I'd expect more consistently reliable high levels, but I'm not ruling it out. Maybe I have it one day, but not others. 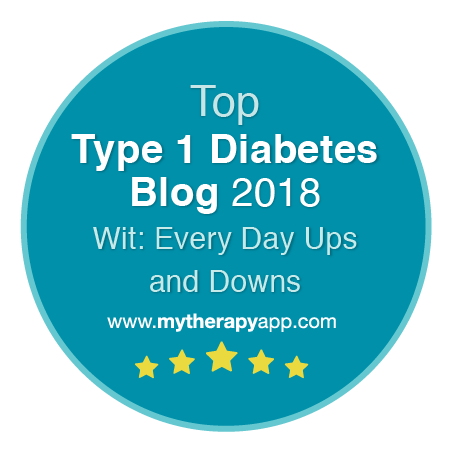 ** Somogyi effect suggests that if you sleep through a nighttime hypo your body has the capacity to dump glucose into the bloodstream from the liver as a defence which means you can rebound into hyperglycaemia. † Relatively high levels of fat in some foods (pizza is a classic) can significantly delay the absorption of the carbohydrates, meaning that it kicks in once your bolus dose has pretty much run its course. Ironically I perfectly judged a chipshop blowout the other day, while getting something far more straightforward hopelessly wrong the following day. †† I've been having quite a lot of success in tackling post-meal hypos by splitting the insulin dose. Rather than injecting all at once I'll delay some of the dose until an hour or two later to spread the insulin activity over a longer more even curve. A little like being my own very crude insulin pump. Unfortunately some times I've underdone the first injection and ended up with a bg spike at 1-1.5 hours (rather than a hypo at the same point). Bah! Following my previous rant about the overpriced nonsense that is 'diabetic foods' I thought I'd better redress the balance with a little mention of one of our lucky finds. I've always loved toast. It's been an integral part of my physiological and emotional wellbeing for as long as I can remember. When I was growing up my mum always made homemade jam and I was delighted to find, after diagnosis that this far superior option typically had around half the sugar in it than the supermarket variety. I am now the official jam maker in our house and have found that you can get away with very little added sugar and still make a cracking fruit-filled supertasty preserve. Sadly though, there are long periods in the year when our own stocks have run out and we are forced to go shop-bought. Enter Fraser Doherty, a Scottish teenager who has developed a brilliant range of jams made with no added sugar at all. None! Not only that but the little pots they come in have beautifully designed labels (in our house this has a massive effect on the buying decision of albums, books, wines, well pretty much anything really). Next time you're at the supermarket treat yourself to a pot. Your toast will love you for it.